E Revolution stock & sell conversion kits for electric bicycles in Thailand. We have the best range from cheap DIY kits to High End products. Your kit is just a click away & we utilize PayPal, the worlds trusted online payment system. We deliver to your door ! At 48 Volts the Edge is a 500 Watt motor. This is a great power level for most riders. The Edge delivers smooth & silent power. The Edge has great torque and you will be at cruise speed in seconds. The Edge has the latest Vector Sine Wave and Bluetooth Technology for connecting your smartphone. You can wirelessly connect your smart phone & use as a speedometer & view power and battery life remaining. You can also program your E-bike with a Windows PC a Golden Motor USB Cable. This is the future ! Your No.1 Choice of Electrical Bicycle Motors are now connected to your Smart Phone ! 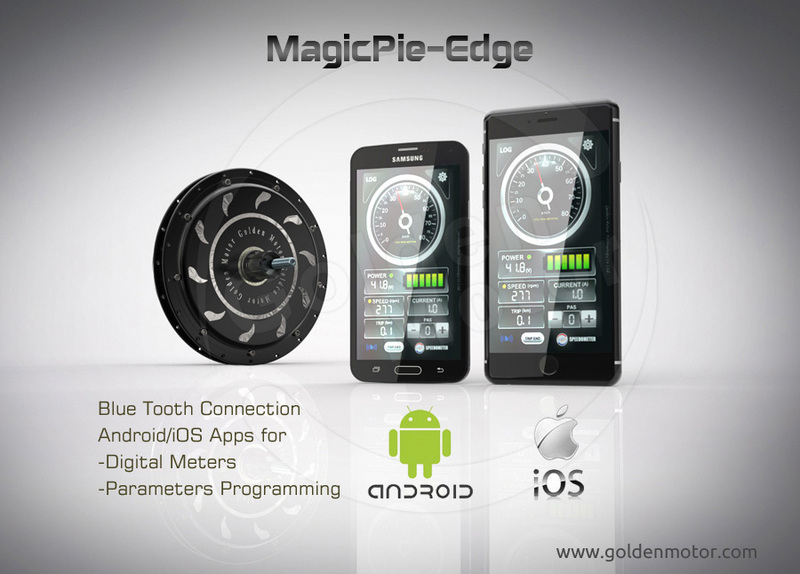 The Fifth generation of Magic Pie is now available with Vector Sine wave Controller, updated wire harness and controls and now Bluetooth connection to your Smart Phone ! 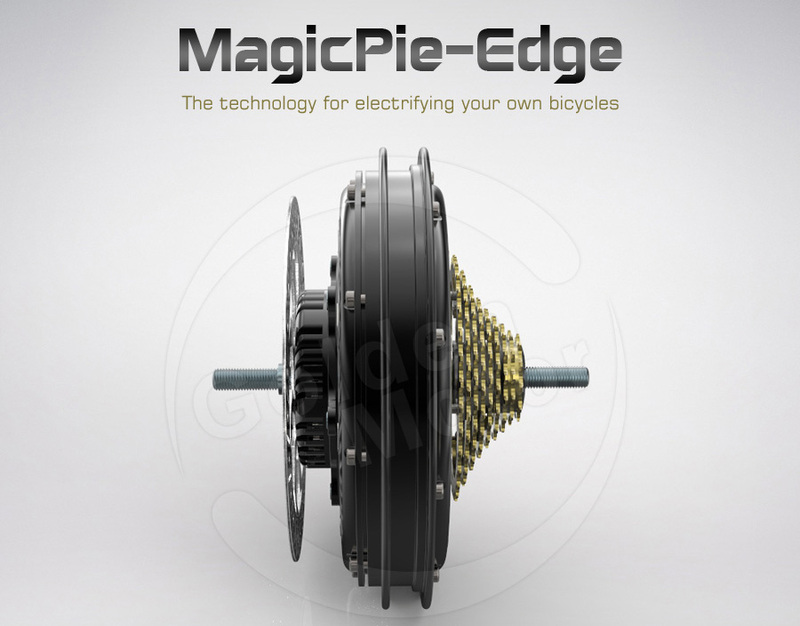 The proven power and durability of the Magic Pie Motor is now improved. The Sine wave Controllers are state of the art technology for a quiet, smooth & powerful ride. The wire harness is military grade with plug and play plugs. The Bluetooth Device allows you to conect directly to the motor. Instead of using a Smart Display you can mount your IOS or Andriod device to your bike and use it to read current information such as speed, power & distance. Specifications: 24, 36 and 48 volts for 500 - 1000 watts. At 24 volt it's great for the leisurely pathways. 36 volt for the street at 32 kph and 48 volt for high speed off road power and fun! Controller is USB programmable for tweaking speed, power, regenerative braking, etc. The difference between magic Pie & Smart Pie is easy to see !